The Advanced Human Rights Courses Programme (AHRC) was established in 2000, and was previously known as the Good Governance Programme (GGP). 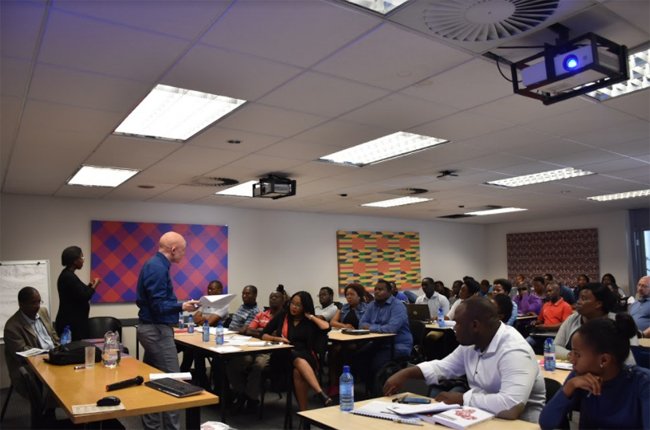 The programme consists of annual advanced short courses dealing with issues pertinent to human rights, development and good governance in Africa. Each course, lasting one week, is presented by local and international experts in the respective fields, with a careful balance between academics and practitioners. Human rights and development professionals at all levels often have to grapple with the multi-disciplinary challenges presented by the huge gap between human rights in practice and human rights in theory. These courses are primarily aimed at governmental officials, managers and staff of civil society organisations, judges and magistrates, legal practitioners, staff of international and intergovernmental organisations, as well as academics from Universities in Africa. Participants from all over the world are nevertheless, welcome to apply. Masters and doctoral students wishing to deepen their knowledge or expertise in a particular area of relevance to their study or research may also apply. Between 20 and 30 participants are admitted to each course. These one-week courses attempt to fill this gap by offering participants a chance to acquire the latest knowledge and information in the particular area, an analytical and critical appraisal of current issues; and the singular opportunity to conceptualise solutions to these problems while practising the much-talked-about art of networking. AHRC courses are particularly ideal for people who are unable or unwilling to commit themselves to a one-year master’s degree course in human rights in Africa. Many of our participants attend several courses spread over a period of 2, 3 or more years, effectively acquiring knowledge and skills that make them eligible for promotions or that enable them seek new employment opportunities. Master’s and doctoral students draw particular benefit from deepening their knowledge in a particular area. For other participants, the courses are a continuing education initiative, a welcome opportunity to refresh knowledge after a period in the field. Applications are particularly solicited from the following categories of person: women, people living with HIV, indigenous peoples, sexual minorities and other disadvantaged or marginalised persons or groups across the continent. Lectures by academics and field experts. Study visits to relevant institutions. Audio-visual material: video tutorials, short films, documentaries and visual presentations. Experiential learning techniques: group work, moot court exercises, debates, and presentations.